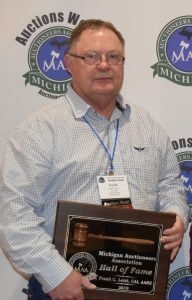 Auctioneer Frank C. Leist, of Boyne City, MI recently received the highest distinction any auctioneer can receive when he was inducted into the Michigan Auctioneer Association’s Hall of Fame. The induction occurred on February 1, 2019 during the President’s Ball to conclude the annual Michigan Auctioneers Association’s Annual Conference held this year in Mt. Pleasant, MI. 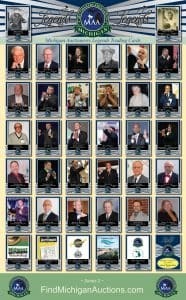 Current Michigan Auctioneer Association Hall of Fame members vote each year on whether to induct nominated members into their honorable fraternity. Frank’s career was recognized as worthy of induction after considering his years in the industry, high standard of professionalism, business integrity and contributions to the industry and auctioneer association. 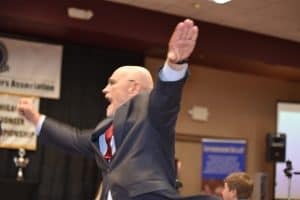 Frank was the lone auctioneer inducted in 2019. Dozens of family and close friends were on hand during the ceremony to watch the induction and celebrate the moment with association members in attendance. 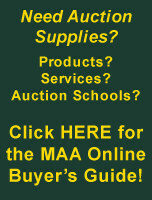 Frank’s auction career has spanned five decades selling primarily livestock, estates, farm dispersals and real estate. Frank graduated from the Reich World Wide College of Auctioneering in 1984. Frank returned after graduation and promptly went to work building a successful auction business on the grounds of integrity and honesty. Frank’s career has since seen him sell hundreds of auctions, dozens of farms, and countless estates including some totaling well over a million dollars. Frank knew early in life that he wanted to be an auctioneer. As early as grade school he shared his talents on the school bus by auctioning off his sister’s lunch, a stunt that earned the dismay of his mother, Ruth Leist. After auction school Frank’s first auction netted a meager $100 commission. 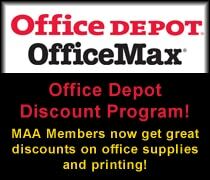 Frank and his wife, Janet invested their first commission into their fledgling business by purchasing office equipment. Commissions became larger with each auction, but Frank’s investment into his career remained. Frank invested earnings into not just auction equipment, but into his education by earning designations in the auction industry such as AARE (Accredited Auctioneer of Real Estate), CAI (Certified Auctioneers Institute) as well as becoming a broker of real estate. Frank’s investments into his career earned him knowledge and experience that few auctioneers in the state possess. Though he’s conducted auctions in virtually every niche of the industry. Frank’s real passion has always been as a livestock auctioneer. After graduating high school in 1973 Frank learned about livestock auctions by hauling cattle to the Gaylord Stockyard. In 1979 he and his father, Frank Sr. began hauling cattle to the Marion Stockyards where Frank would soon begin working as their auctioneer. Frank quickly and steadily became one of the busiest livestock auctioneers in the state, selling every week at markets in Marion, Clare and Alpena. During this time Frank was recognized by the Livestock Marketing Association as their Region 1 Champion Auctioneer from 1996 – 1999. In 2000 Frank stopped working at the Marion Stockyards and began managing the stockyard in Gaylord. Frank and Janet would purchase that stockyard two years later and name it Northern Michigan Livestock. Frank continued to sell for his close friends Bud Gernaat in Clare and Gene Hanson in Alpena until both men passed away. Both of those markets were the chief competition to Frank’s own market and his strong relationship to their owners is a testament to his character and loyalty. 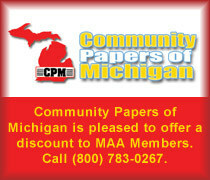 Frank continues to call bids and manage Northern Michigan Livestock during their weekly livestock auction on Wednesdays. Frank’s legacy in the auction industry extends far beyond his own career. Frank’s two eldest sons Ed Leist and Wade Leist are both active in the auction industry as well. Frank has been a mentor to them in the industry and deserves credit for their accomplishments and success. Frank, his cousin Jerry Schmoldt, along with Ed and Wade all currently manage dozens of auctions each year as Leist Auctioneers. Their company continues to grow and adapt within the industry to feature traditional live auctions, as well as online and simulcast auctions. Adapting to current trends has helped Leist Auctioneers manage a multitude of asset classes to meet the needs of their clients. Frank and Janet stay plenty busy outside of the auction industry by managing a large cattle farm in the Boyne City area. Together they have three sons, Ed, Wade and Brandon, along with 6 grandchildren. 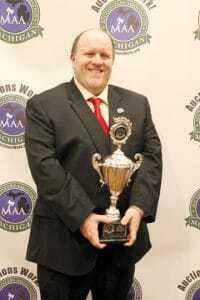 Frank is honored to be the inducted into the Michigan Auctioneers Association Hall of Fame. 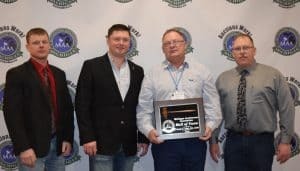 Mount Pleasant, Michigan – Auctioneer Bob Howe was awarded the honor of 2019 Michigan Ringman Champion on January 31, 2019 at the Michigan Auctioneers Association Annual Conference in Mount Pleasant, Michigan. 5 Contestants competed for the coveted title. Contestants were judged by a panel of 5 accomplished Michigan & International Auctioneer Champions. They were judged on 4 categories: Crowd/Buyer Interaction, Performance, Relaying Bids and Communication with their Auctioneer, and Appearance/Presence. Also taking home honors were Mathias Donat of Saline, 1st Runner Up, and Kelly Merryman of Fremont, 2nd Runner Up. Bob Howe graduated from Central Michigan University, with his Bachelor’s Degree in 1968 and Master’s Degree in 1971. He graduated from the Missouri Auction School in 1977 and held his first auction in September of that same year. He has conducted thousands of auctions and owned three auction companies starting with Brother Bob’s Auction Service, then Heritage Action Firm which he sold in the late 90’s and finally Epic Auctions and Estate Sales which he sold in July of 2018. 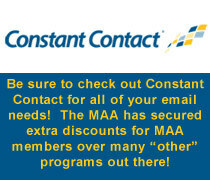 He has been a consecutive member of the MAA since 1977. He has served the industry by serving as Secretary of the Board of Directors of the Michigan Auctioneers Association twice in his career, one long stint in the late 70’s and 80’s and then again recently. In addition, he completed his CAI designation in 1988 and thereafter served on the CAI Board of Governors. This was Bob’s very first time competing in the Michigan Ringman Championship and he said while waiting in the wings for his turn that he just wanted to go out and have fun. Looking at the results, it appears that he did just that. Bob is semi-retired and always looking to assist any auctioneer or auction company in any way that he can. He lives in East Lansing, Michigan with his wife Sheila who is also an auctioneer, ring person, clerk and cashier. 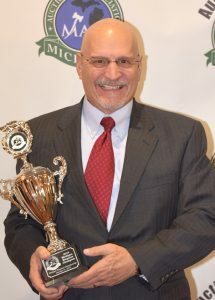 ANN ARBOR, MICHIGAN – Professional auctioneer, Billy Peyton from Preble County, Ohio took top honors at the highly anticipated GoToAuction.com Midwest Auctioneer Championship. 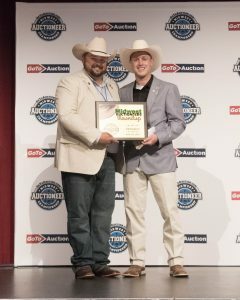 The GoToAuction.com Midwest Auctioneer Championship saw a field of 25 top quality auctioneers from around the Midwest competing for the title of the Grand Champion of the coveted auctioneer championship. The championship was held in conjunction with the Midwest Auctioneers Roundup which is hosted by the Michigan Auctioneers Association. 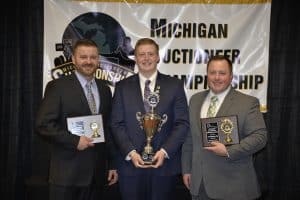 The highly esteemed auctioneer championship saw five finalists starring Justin Croy, Wade Baer, Dan Troyer and Elmer Yoder, who earned 2nd place in the competition. All finalists received a plaque commemorating their achievement and a cash prize. The Champion, Billy Peyton is a proud member of the Ohio Auctioneers Association, the Michigan Auctioneers Association, and the National Auctioneers Association. The highly talented auctioneer is no stranger to top placements in major auctioneer championships. Peyton won the 2017 Ohio Auctioneers Association Junior Auctioneer Championship. 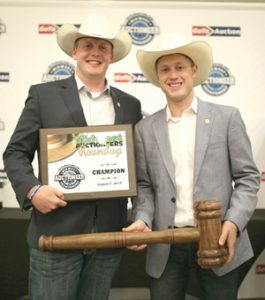 In two consecutive years, Peyton was ranked in the Top 15 finalists in the 2017 and 2018 International Auctioneers Championship. Then he appeared in the 2018 World Automobile Auctioneers Championship coming in as a finalist in that competitive contest. When not selling automobiles and equipment, Billy is part of his fiancées cattle/grain farming operation of over 800 acres. Upon receiving the GoToAuction.com Midwest Auctioneer Championship purse of $2,500 and the championship award, Peyton was visibly taken aback “Wow. I can’t believe it. Wow.” Taking a few moments to compose himself, he said, “There is one person I really want to thank…..and that’s God. I want to thank God for blessing me to be an auctioneer and letting me do this. I’ve been wanting to be an auctioneer since I was five years old. I knew that’s what I wanted to do. Ever since I went to that first auction, I was hooked and I’ve made my dream come true and became an auctioneer.” Peyton went on to thank his beautiful fiancé, Katie Bratton for her unwavering support, his parents, the Michigan Auctioneers Association, GoToAuction.com and dozens of others that were pivotal in his early successes as a professional auctioneer. 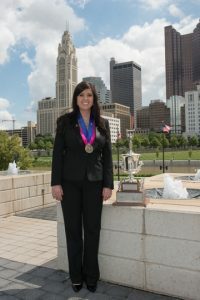 The GoToAuction.com Midwest Auctioneer Championship was broadcasted live to a worldwide audience. “This is an unique competition in the sense their isn’t much in the way of rules – other than they must wear a hat, any kind of hat and sell what they are selling within a two minute time frame. Contestants are scored exclusively on their real-world auction chant – and man, do they put on an authentic show!” Said GoToAuction.com co-founder and Marketing Director, Kenny Lindsay, CAI. Help Celebrate National Auctioneers Week & National Auctioneers Day on May 5, 2018! Frankenmuth, Michigan – Auctioneer Kenny Lindsay was awarded the honor of 2018 Michigan Ringman Champion on February 1, 2018 at the Michigan Auctioneers Association Annual Conference in Frankenmuth, Michigan. 7 Contestants competed for the coveted title. 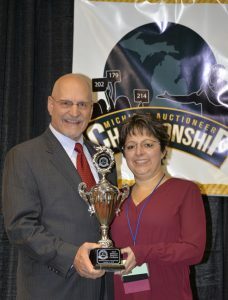 Contestants were judged by a panel of 5 accomplished Michigan & International Auctioneer Champions. They were judged on 4 categories: Crowd/Buyer Interaction, Performance, Relaying Bids and Communication with their Auctioneer, and Appearance/Presence. Also taking home honors were David Herschberger, 1st Runner Up, and Mike Furlo, 2nd Runner Up. Kenny has a long history in the Auction Industry. He began his career in 2002 after attending Continental Auction School, where he is now an instructor. Kenny has taught seminars at several state and National Auctioneers Association conferences, leading sessions on Negotiating, Autographs, Salesmanship and much more. Kenny served many years on the Board of Directors of the Michigan Auctioneers Association, serving as President in 2014. He is still involved with the MAA by continuing to serve as co-chairman of the Public Promotions Committee, promoting the Auction Industry to the public through the national #AuctionsWork campaign. Kenny proudly owns American Eagle Auction & Appraisal Company in Livonia, Michigan. 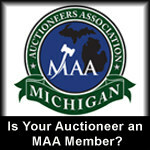 He is a proud member of the Michigan Auctioneers Association and the National Auctioneers Association. He is married to his wife Lindsey and they have two children, Carson and Caroline. 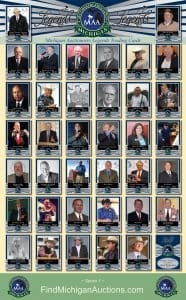 The Michigan Auctioneers Association unveiled a series of trading cards, similar to those involving baseball and other sports, depicting a 74-card set of ‘Legends’ trading cards which honors select both past and present auctioneers that have not only excelled in the auction profession but those that have been pivotal to the success of the Michigan Auctioneers Association. Those include but not limited to; past Presidents of the MAA, MAA Auctioneer and Professional Ringmen Champions, Hall of Fame inductees along with those that were deemed as instrumental to the Michigan auction industry bsy committee. The auction industry, which dates back thousands of years, remains the first and one of the remaining examples of the free enterprise system where products, prices and services are determined by the market. The professional auctioneer is a facilitator of this process which makes them an important pillar in their community. 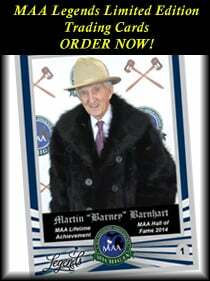 “These trading cards are one way to illustrate the importance that the auctioneer is to the community. 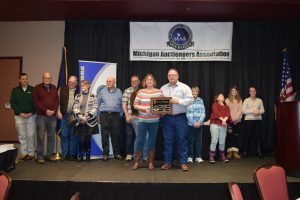 It also pays tribute to those that have made a considerable impact with the Michigan Auctioneers Association,” said Michigan Auctioneers Association’s Executive Director, Tricia Wiltjer. (Naples, FL – July 26, 2017) – Sara Rose Bytnar of Naples, Florida was recently crowned winner of the Women’s National Auctioneers Association (NAA) 30th Annual International Auctioneer Championship in Columbus, Ohio. The 31 year old Rose Bytnar, a third generation auctioneer, grew up with four female auctioneers in her family to guide and mentor her, to which she credits much of her success. She finished second last year to her mother, Beth Rose, by one-tenth of one point. Twenty women competed for the right to be known as one of the best auction professionals in the world. Rose Bytnar, Certified Auctioneers Institute (CAI), Accredited Auctioneer Real Estate (AARE), Auction Marketing Management (AMM), received a $5,000 cash award, trophy and championship ring. The contest included a preliminary bid-calling round, an interview round, and a final round of bid-calling that included seven women. As part of her responsibilities as auction champion, Rose Bytnar will travel to St. Jude Children’s Research Hospital in Memphis, TN later this year to conduct the annual NAA Toy Auction for patients and their siblings. All of the children leave as winners after bidding successfully on a toy to take home. 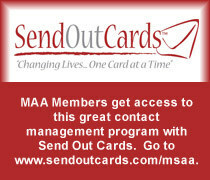 The NAA formed its partnership with St. Jude in 1995 and has raised more than $5 million to support St. Jude. Rose Bytnar focuses on luxury homes, commercial property and golf course real estate auctions in Ohio, Michigan and Florida for her family’s business, Beth Rose Real Estate and Auctions. She is also an auctioneer with Scott Robertson Auctioneers, one of the premier professional benefit auction companies in the United States. 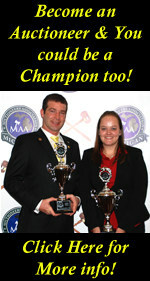 Sara is joined in her year as champion with the Men’s Division Champion, Dustin Rogers, of Mt. Airy NC. 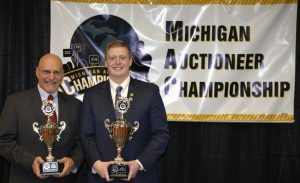 NEW BUFFALO, MICHIGAN – Professional auctioneer, Eli Troyer of Applecreek, Ohio took top honors at the highly anticipated GoToAuction.com Midwest Auctioneer Championship. 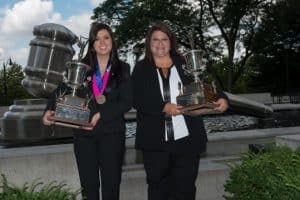 The GoToAuction.com Midwest Auctioneer Championship saw a field of 26 top quality auctioneers from around the Midwest competing for the title of the Grand Champion of the coveted auctioneer championship. The championship was held in conjunction with the Midwest Auctioneers Roundup which is hosted by the Michigan Auctioneers Association. 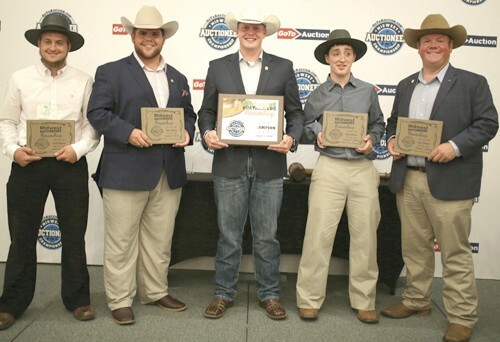 The highly esteemed auctioneer championship saw five finalists starring, John Beechy, Alex Belcher, Clayton Neal, Justin Croy and Eli Troyer. Justin Croy earned 2nd place in the competition. Troyer is an Applecreek, Ohio based auctioneer employed by Kaufman Realty & Auctions where he is a full-time auctioneer and Realtor licensed in Ohio, Pennsylvania and West Virginia. The highly talented auctioneer is no stranger to winning championships. 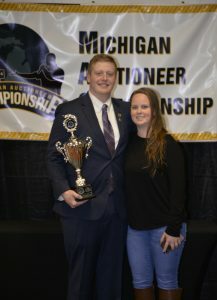 This past February, he was crowned the Champion of the 2017 Michigan Auctioneer Championship and won the 2016 Ohio Auctioneer Championship Junior Division. One of the judges commented, “This was a really difficult championship to judge based on the overwhelming amount of talent. Not to be outdone by the intense competition, the fan favorite of the evening was the kids auction. Aspiring young auctioneers from 4 years and up climbed up on stage to show off their budding talents. 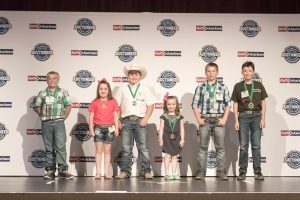 Parents, grandparents, friends and family all supported these young auctioneers by bidding high and often on the items they auctioned, generating thunderous applause for each up and coming champion. The GoToAuction.com Midwest Auctioneer Championship was broadcasted live on YouTube with an incredible amount of social media buzz leading up to the popular contest. “Anyone in the world had the opportunity to see the stars shine on the big stage – and they were not disappointed. 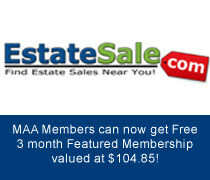 The contest generated a lot of fanfare.” Said GoToAuction.com Vice President and Marketing Director, Kenny Lindsay. A new record high auction sale price on September 24 at a Miedema Auctioneering Live Auction on the John Deere 4250 with only 947 actual hours sold on a central Michigan farm estate auction. Also note…it was a “2WD” model, not MFWD. Watch the Youtube video above and you can watch it sell for $50,000. 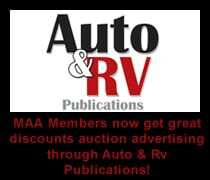 Thank you to Machinery Pete for publishing this great video and Auction Results.#AuctionsWork!